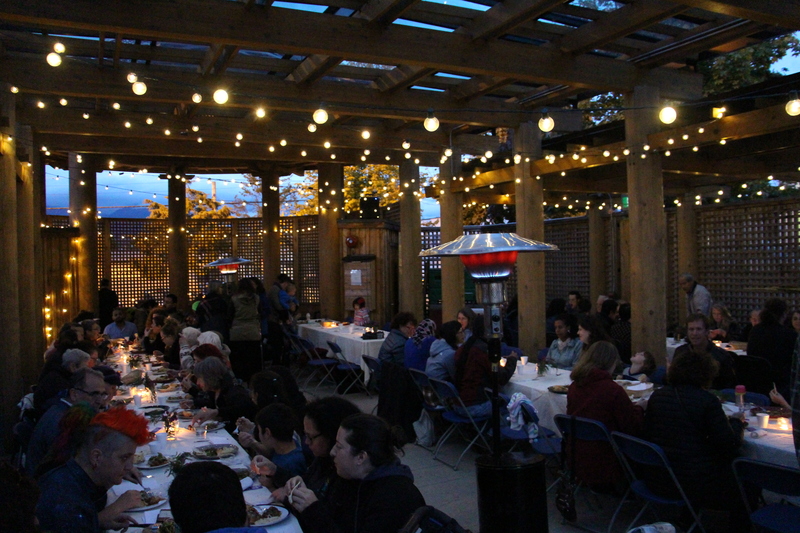 The Storytelling Feast and Exhibit is a highlight of this year’s Sustenance Festival. Registration is limited and based on a first-come first-serve basis. The feast menu is faithfully adapted from the storytellers’ traditional recipes. Please note: This includes vegan and vegetarian dishes. While there will be a plentiful range of eating options, we regret that dietary restrictions cannot be accomodated for every dish. No peanuts will be used, and all ingredients will be clearly labelled. 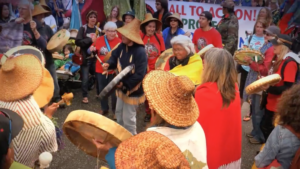 This event takes place on the traditional, ancestral, and unceded homelands of the xʷməθkʷəy̓əm (Musqueam), sḵwx̱wú7mesh (Squamish), and sel̓íl̓witulh (Tsleil Waututh) Nations. See bios of our storytellers and speakers below. Nihal Elwan is the founder of Tayybeh: A Celebration of Syrian Cuisine, a social enterprise and food venture that aims to support newly arrived women from Syrian by providing them with employment, financial security and social integration in their newfound home in BC. Tayybeh’s food has received rave reviewed by some of the top food critics in the city and continues to wow diners across the Lower Mainland! Navidad “Tivi” López is a researcher of various aspects of Colombian Caribbean cuisine with emphasis on the culinary systems of ethnic groups such as the Indigenous Wayuu people, specializing in Fiestas and Rituals, as well as Criollo food in the Department of La Guajira. She is also a participant of various gastronomic events, nationally and internationally. A responsible and detailed person, Tivi has a committed interest in the investigation of cooking and identity. Investigadora de diversos aspectos de la cocina del Caribe Colombiano con énfasis en los sistemas culinarios de los grupos étnicos como la de los indígenas Wayuu, con especialidad en Fiestas y Rituales, así como la comida criolla en el Departamento de La Guajira. Participante en diversos eventos gastronómicos a nivel nacional e internacional. Es una persona responsable y muy cuidadosa de los detalles con interés en la investigación respecto a la Cocina e Identidad. Kyakunda Margaret Mubanda was born and raised in Kashaari County, western region of Uganda in East Africa. Margaret speaks Bantu and appreciates and embraces Banyankore culture, values, beliefs and spirituality her parents shared with her while growing up. Truthfulness Generosity and Contentment were the three pillars in her family. While living in Canada Margaret has appreciated meeting new people from other parts of the world. Margaret finds it very fascinating to hear people passionately talk about their history of the origin, love for their food, commitment to their values, beliefs and spirituality. The one thing she has identified to be a common connecter to all is the food. Most people if not all like trying new food from other countries. Margaret defines Food as the life line for all living things. Without food, no living thing can exist. Mekdes Gete, originally from Ethiopia is immigrated to Canada 25 years ago. For the last 20 years, she has worked as an early childhood educator and Montessori teacher. Since 2011 She has been working as BCRPA certified group fitness and yoga instructor, Mekdes also teaches Amharic language, traditional Ethiopian cooking as well as Ethiopian history to children born and raised in Vancouver and the lower mainland on Saturdays. Atsumi Hashimoto is a member of Japanese Community Volunteer Association, specifically a member of Tonari Gumi Garden Club. Tonari Gumi has just published a gardening book, entitled Our Edible Roots. The Japanese Canadian Kitchen Garden funded by New Horizons for Seniors Program. Mara Shnay has a long and varied work history from teaching mindfulness to managing IT projects. Her focus now is on chairing a client advisory committee within Jewish Family Services to help the agency continuously improve services and meet clients’ needs, especially unmet and unrecognized needs. One of the committee’s key goals is creating community and connection. Her other main interest is her blog devoted to helping people with disabling medical conditions live joyful lives.